Do not fall for the mainstream media’s narrative that has increasingly taken hold in our nation. The murdered Saudi “journalist” Jamal Khashoggi was anti-Semitic. He did not deserve to be murdered, but he was far worse than the media paints him to be. The Muslim Brotherhood agenda is still to impose Sharia law wherever they take power. Even better, take a look at the “journalists” tweet, exposed by the Simon Wiesenthal Center, where Khashoggi saidthat Israel never had a right to its land and that it did not even build the Western Wall. 2-They want to give a “victory” to the enemies of President Trump. 3-A minor reason in context, but nonetheless important, the media loves to paint any narrative where journalism is under oppression. However, Khashoggi was not an ordinary journalist. He was an opinion columnist for The Washington Postwho used this once great paper to espouse his Muslim Brotherhood views. Khashoggi talked about democracy in the Middle East, but only under the rule Muslim Brotherhood so that Sharia law could come to Arabian lands. The Middle East is not ready for full democracy. The reason the Muslim Brotherhood advocates for so called democracy is precisely because a great many people in the Middle East are completely radicalized. The Brotherhood does not want real democracy which involves freedom of religion. It wants power and will do away with democracy once in power by legal means, just as Hitler did with the Weimer Republic. In both examples the final platform has never changed; each merely changed their method of coming to power. One person who has been, at least somewhat, in favor of real freedom of religion is Saudi Prince Salman. No one is saying Prince Salman is the epitome of virtue or that he can be completely trusted but letting women drive and allowing churches to be built in a nation like Saudi Arabia are huge steps for a Saudi leader to take. He also said Israel has a right to its land. Can anyone imagine a previous Saudi leader saying that? Calling for the ouster of the Prince is not the way to make a better Saudi Arabia. Instead, we must continue to shepherd him, as much as it be possible, to move his nation in the right direction. No one is saying the Prince is going to convert to Christianity, enter a monastic lifestyle, and sell everything he has to the poor. But we cannot fully judge a civilization much older than ours by our standards in every instance. Whenever we do that, we make a huge mistake that blows back in our face. Iran after the Shah, the Arab Spring, and other examples come to mind. The Middle East and Central Asia are rough places and not for the faint of heart. It is impossible to not take sides if we are involved in the Middle East or, at the very least defense of the State of Israel or pushing against a nuclear armed Iran. Further, Saudi Arabia will come unglued once it runs out of oil and access to technology reaches even the poorest of citizens while its birthrate continues to decline. When these events converge, the questions arise of what kind of stability has been built in that nation in the years leading up to it and is there a leader in power that is friendly to the United States and perhaps even friendly to Israel? If the Muslim Brotherhood is in power in the years leading up to it, watch out. Recently I was in a taxi driven by a man from Iran, a man who incidentally loved Israel but was not Jewish. I asked him about the Shah of Iran whom was in power before the Ayatollahs and he said “Yes, I loved the Shah.” I said, “A lot of people say the Shah was cruel.” He said, “Yes, the Shah was cruel but he had to be. The Shah wanted to modernize Iran. He was modernizing Iran and these radicals (Islamists) were trying to mess it up and they did. I miss the Shah.” Sometimes you get a lot of wisdom from the cabdriver. Calling for regime change in Saudi Arabia will have the same consequences of the Arab Spring. There were rough guys in power in various nations before the Arab Spring but what came after, in the name of democracy, was far worse. This murder case, however terrible, runs a strong risk of misplaced reaction. 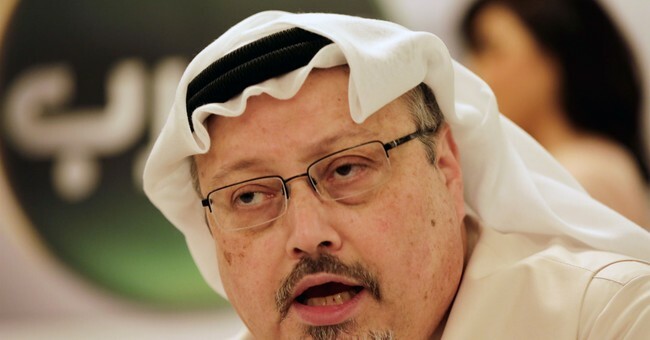 It is easy to be swayed by the sheer cruelty of what happened to Khashoggi. However, this is not unnatural in the Middle East and we cannot fully control it. Do not be surprised by it and do not believe the media’s definition of Middle East democracy. Think about it. Think real hard about the consequences of what change we seek. And remember, a brutal murder of a terrorist sympathizer does not excuse his history of anti-Semitism and being pro-Sharia law. *Views expressed in this article are those of the author and not any government agency.